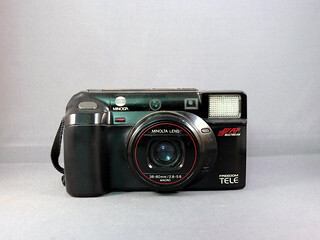 The Minolta AF-Tele Super (Europe) or Freedom Tele (America) or Mac-Tele (Japan) is a dual focal-length autofocus compact camera switchable from 38 mm f/2.8 normal lens to 80 mm f/5.6 portrait lens by push-button and usable with DX-coded 35mm film with film speed betwwen ISO 50 and ISO 3200. A motor drives the lens change by internal teleconverter, the according viewfinder adaption and even pops up the flash for the 80mm focal length. Otherwise the flash is inside the camera body, behind a light-straying glass for the shorter focal length. On top is a very small status LCD and a self-timer button. Automatic flash operation can be overridden by a force-flash button and a suppress flash button, both near the lens. 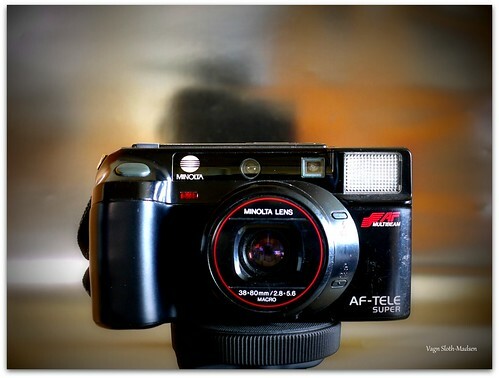 It is a quite bulky compact camera since it was an early autofocus camera; measures are 136x76x55mm. It needs an expensive 6V battery pack and weighs 450 g. A variant with date imprinting option was available. 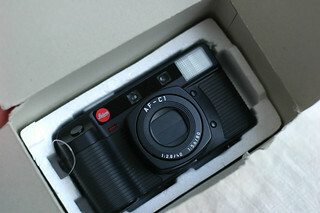 The camera construction was also base for the dual-focus Leica AF-C1. The Minolta camera was launched in 1988, the Leica model one year later. PDF manual at Derone T. Bryson's DerryBryson.com.